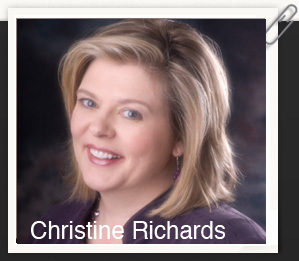 “Christine Richards is a master at connecting with people, of building mutual trust, and creating business opportunities. I have personally seen Christine at work selling, teaching others how to sell, and helping business owners take it to the next level. I've enlisted Christine's assistance many times over the past 3 years and she has earned my professional respect, my personal trust, and my heartfelt recommendation." "Christine shared real life experiences, which made the topic real. I wish the presentation could have been longer." Evelyn Judge, Director of Recruiting, NetPro Resources, Inc.
“One of the things that struck me was that it didn’t matter if you had 20 years of experience or were brand new in sales; there was so much practical information that was relevant.” Susan Fenski, Personnel Specialist, Barrett Services, Inc.